The CBSE has Prescribed this Novel under the section ‘Long Reading Text’ for Class IX as per its latest syllabi. 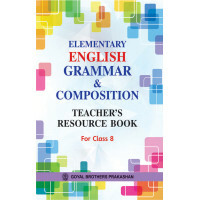 This book has been designed strictly according to the latest pattern of examination prescribed by CBSE,to help the students become familiar with the the latest pattern and to prepare them for the exams thoroughly. In-text questions in each chapter. At the end of each chapter, description of characters and the development of the plot is explained. Text-based questions on plot and incidents involving interpretation and inference are also given. Term-wise Questions based on characters are provided. Term-wise Solved and Unsolved and Important Questions have also been provided. Social Studies For Juniors Teachers Resource Book For Class 3..
Goyals Assignments In Hindi Course A For Class IX For Term I & II..
Nootan Drawing Book 1 ..